You are at: Blog » Business Models » Delineated: How does Letgo work? Letgo is a website and an application that lets the users buy and sell thing online locally. It was founded by Alex Oxenford along with Jordi Castello and Enrique Linares in 2015. Alex was the former CEO of OLX, an online portal to buy and sell products to people nearby. OLX was available only outside the US. Letgo provided similar facilities in the US. The company was competing with eBay and Craigslist. They dominated the online marketplace since the 1990s. Let’s see how does Letgo work and how it benefits the user. Here we’ll see various aspects of the application and learn about them. Selling here is super simple. The seller just has to click pictures of the product they want to sell. Once the listing is visible buyers will contact the seller. The seller can communicate with them and finalize the deal. That is an easy sale. If one is signing up using the traditional email address they will be asked for a password. After entering some of the basic personal details the profile is active and good to go. After logging in they can upload pictures and wait for the listing to be visible for discovery. On Letgo there is a feature called ‘Build trust’ where users can verify their profile. Verified profiles earn trust from the buyers. This increases the chances of the sale. On Letgo, verified equals to trusted. Chat: This feature on the application lets the seller communicate with the buyer. This is where they answer the buyer’s queries. The seller can decide upon the final price of the product here. Profile: This icon takes the user to their profile. Here they can view all the product listings and edit other settings on the profile. Such as active products and posts. This is all you need to know about the various features on Letgo. These features make Letgo a very user-friendly application. How does Letgo work for sellers? Now, let’s understand how does Letgo work for sellers. The users can sell almost anything on Letgo, yet there are some things to keep in mind. Letgo has a prohibited items’ list which is used to filter product listings. This list contains all the items the user CANNOT sell on the application. 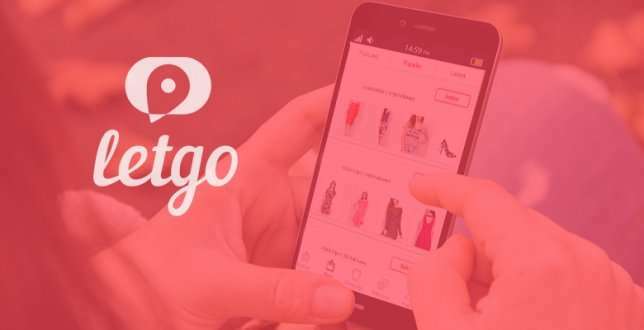 For further details, the user should refer the prohibited list on the Letgo website and application. How to sell on Letgo? Selling on Letgo is pretty simple. The user can have the listing visible in a few steps and the product will be sold soon. Here is a stepwise model through the selling procedure on Letgo. The first step is to click really nice pictures of the product to sell on Letgo. It is advised to take pictures from all angles which gives the buyer a better look of the product. If the product is dark and black, use a flashlight to enhance the details of the product. After uploading the pictures on Letgo, the user need to write a description of the same. Here, the user will be describing the product. Give as much information as possible of the product listed. This is what is going to attract buyers increasing the chances of selling the product. Step 3: How much is it for? In this step, the user does the pricing of the product. After adding the description of the product the user add a price to it. They can also leave it open for negotiation. After the pricing for the product is done the user needs to add a title and category to the listing. the product will appear in the category the user selects. The title will show right below the picture. It is very important to select the right category and give an appropriate title. the user can also change the location for the item they want to sell. Just go to the setting tab and click on the location. Now the user can select the location of their choice and save. After completing the entire process the user needs to wait. This is because any post takes up to 40 minutes to go live on the application. The product listings are processed by Letgo before they go live. Once the product listing is visible the user can keep a check on the views by going to their profile and product listing. This will let the user know how many customers are interested in their product. Once any buyer contacts the seller, they can communicate with them on the Letgo app itself. the seller can finalize a final price of the product with the buyer here. After the final deal, the sale is done. In any application, there are several features that make it unique and better than its competitors. There are many such dynamics of selling on Letgo which makes it the most user-friendly application. Let’s understand them in detail. Once the products are live on the application the user can keep a tab on how many customers viewed the product. This will let them know if the product is attracting a good number of customers. This gives the user a fair idea of chances of the product being sold. 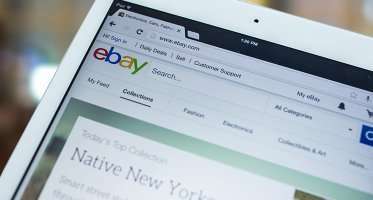 If someone tries to sell anything from the prohibited items’ list on Letgo, their product listing is discarded. It never goes live and the product is not visible on the application. the user needs to make sure that they refer to the updated prohibited items’ list from time to time. This can avoid the product listings being discarded. With its chat system, Letgo makes it very easy for the user to communicate with potential buyers. the user can answer their queries and explain the features of the products. It is very easy to use as the seller will receive a push notification and an email every time a buyer messages them. This keeps the user notified without having to open and check the app again and again. Letgo warns its users to not give away their personal email ids, phone numbers or addresses to the buyers. It is suggested to keep the communication strictly to Letgo chat for security reasons. The exchange is happening between two parties and they have come in contact through a third party ie. Letgo. Therefore, Letgo does not get involved in any monetary transactions. It does not support any modes of electronic money transfer. The seller needs to ask the buyer to pay them in cash. the user can also use PayPal if decided and confirmed by both the parties. Letgo suggests its sellers to not take payments through checks or wire transfer. As this may create further problems like the check getting bounced after the sale. Letgo does not support any online transaction. Therefore, it does not provide the refund for any of the deals taking place on the application. What is your opinion regarding the article How does Letgo work? Tell us in the comment section below. 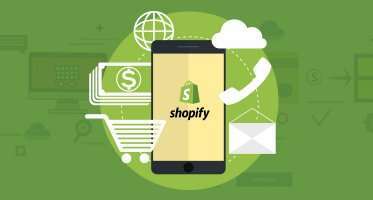 You may also like A Definitive Guide: How does Shopify Work? Here are some informative eCommerce business articles crafted by NCrypted Websites, it’d help further to understand various business & revenue models from the eCommerce segment. ← Disclosed: How does Rover Work? A Definitive Guide: How does Shopify Work? helped me out loads. good work!